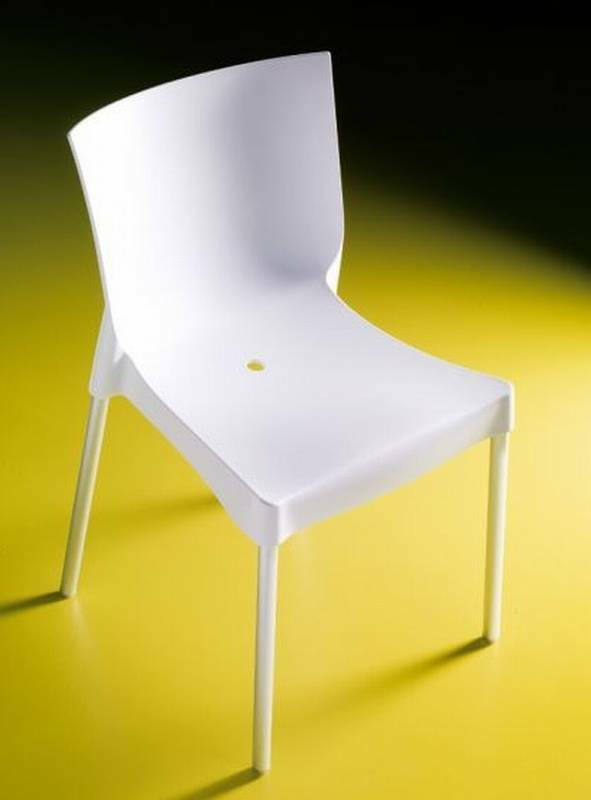 Description A stackable modern dining chair suitable for both indoor and outdoor use. The chair consists of a moulded polypropylene seat on an anodized aluminium frame, which produces a chair that is strong and extremely light. Available in a variety of vibrant colours.